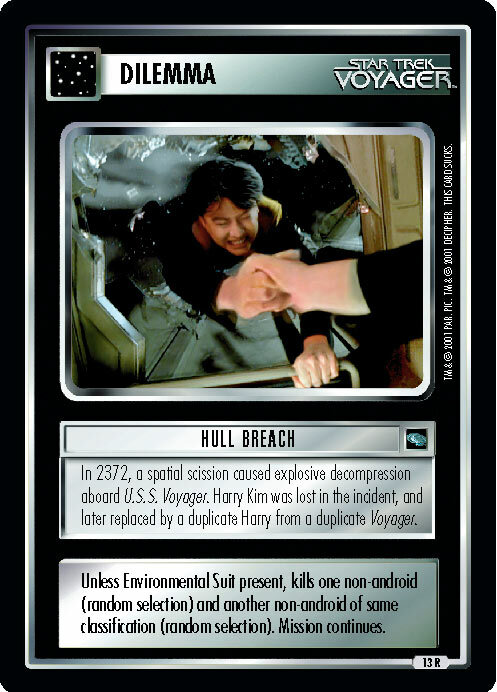 In 2372, a spatial scission caused explosive decompression aboard U.S.S. Voyager. 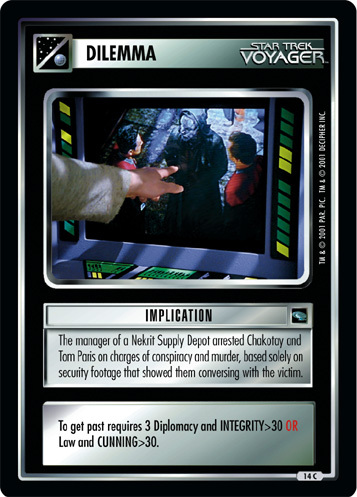 Harry Kim was lost in the incident, and later replaced by a duplicate Harry from a duplicate Voyager. 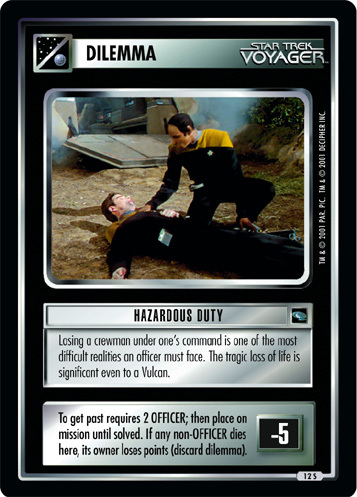 Unless Environmental Suit present, kills one non-android (random selection) and another non-android of same classification (random selection). Mission continues.